Students at Octagon Pond Elementary in Paradise are learning how to tackle stress and anxiety. 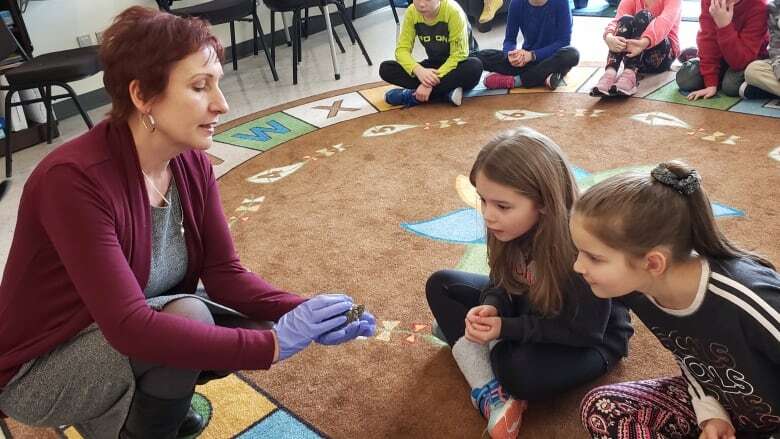 With some help from their teachers — and a therapy turtle — students at Octagon Pond Elementary in Paradise are learning to tackle stress and anxiety. School counsellor Wanda Pelley says she and other school staff have recently led school-wide presentations to teach students mindfulness techniques. "Students come to my office all the time. We actually did some training, some mindfulness training, with every student in the school a couple of weeks ago," she said. "We talked about feelings, uncomfortable or yucky feelings — being anxious, being sad, being angry — and how all feelings are normal ... and we wanted the students to learn how to get rid of those yucky feelings." On Monday, Malcolm the Mindful Turtle, who belongs to educational psychologist Florence Strang, visited the school to coincide with the opening of a relaxation station in Pelley's office. 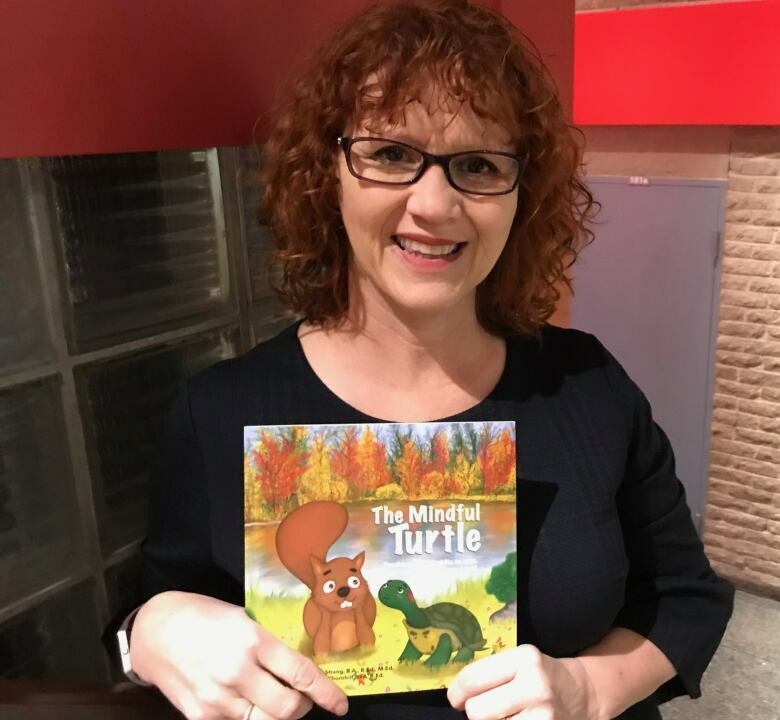 Malcolm is the star of a children's book by Strang called The Mindful Turtle. Pelley said she expects the relaxation station in her office to be busy, as she's seen a significant increase in students dealing with anxiety in recent years. "I have noticed, I would say over the past five or six years, that especially anxiety has, even in the younger grades, increased exponentially," she said. "It was unusual to deal with a child suffering from some sort of anxiety earlier in my career … but over the last number of years it's become such a focal point of my job that I felt, along with my school team, that we needed to do some school-wide interventions to help the teachers help the students." Octagon Pond Elementary isn't the only school putting emphasis on mindfulness. Last February, students in Happy Valley-Goose Bay took part in a Yoga for Youth workshop to learn about awareness and mindfulness. She said children seem to have more pressures than in the past, leading to more stress and anxiety. "The technology and the amount of things children have coming at them these days might certainly be contributing," said Pelley. "The lives of our children have changed so much. It's not simple anymore. It can be overwhelming." She said the mindfulness training follows in line with schools in New York and London, equipping students with the skills to deal with stresses later in life. "What we aim to do at Octagon Pond Elementary is to teach children these life skills," Pelley said. "We get them when they're young, teach them these coping strategies and then they take it on into the rest of their life."